Sunderland shared a 1-1 draw with Luton Town this weekend, meaning both sides failed to capitalise on Portsmouth’s shock 1-0 home defeat against Blackpool. 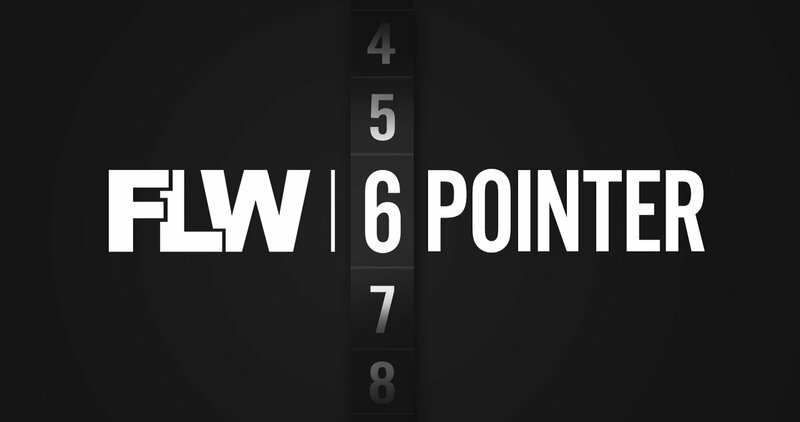 The Black Cats are hunting an immediate return to the Championship this season, so FLW writer Gary Hutchinson takes the hot seat in our six pointer feature, looking at their chances of a return to the second tier. How are Sunderland shaping up in this season’s League One table? It’s been a good start to life in League One for the Black Cats. They’re not a Premier League team now, they’re barely recognisable from the team the world are watching on Netflix. It’s a fresh, lean Sunderland, one accepting of their current status. They’re not wallowing around in self-pity at losing their way. Results have been decent, they’re in third place with a game in hand over Luton Town in second. Win that and they’re hot on the heels of leaders Portsmouth, currently out in front at the top of the table. Which players have emerged as key men for them? They’ve placed a belief in some of their younger players and that’s certainly paid dividends. Josh Maja has had a lot of attention, his prolific run in front of goal has been eye-catching but could lead to Jack Ross losing his services. There’s also Lynden Gooch and George Honeyman, two Under 23 graduates who have truly stepped up to the plate and made their presence felt. It’s satisfying to see the academy paying off, but it should be expected. These players were in a Premier League academy and whilst the club is not there anymore, the structure still produces good players. Who has disappointed this time out? Glenn Loovens joined with all his experience in the summer, but his fitness has been a problem and he’s dropped down the ranks. It’s unfair to say he’s been poor, but his is a wage they could have done without. Bryan Oviedo is another, he’s a big earner from the top flight days who simply hasn’t looked any better than the lower league players they’ve brought in. At the moment, there’s still a question mark over Charlie Wyke too. He’s had a horrible time with injury but since returning he’s not looked sharp. He missed a couple in the weekend’s draw with Luton and will be hoping for better in the coming weeks. What is their current form like? It’s been patchy, but in a positive way. They’re unbeaten in six now, but have won three and drawn three. Including cup games, they’ve won six of twelve, drawing four and losing two. It’s good form, but it’s not sensational. They’ve missed big chances to seize an advantage, losing to Portsmouth and drawing with both Luton and Charlton. Those four teams make up the top four and if Sunderland want to be on top at the end of the season, they need to ensure they’re better against promotion-chasing sides. What does the next few weeks hold? Their next eight games are all ones they could, and should win. Scunthorpe, Wimbledon and Oxford are up next, all three are struggling although the Iron have improved in recent weeks. Once play-off chasing Blackpool visit the Stadium of Light, there’s Accrington, Gillingham, Plymouth and Bristol Rovers. Five of their next eight opponents are in the relegation mire and only Blackpool are in the top half. It’s the perfect time to press Portsmouth and Luton. Can you see them sustaining their promotion challenge? Yes, absolutely. They do need to hang on to Maja though, Wyke hasn’t got going yet and without the young striker they’d look shot-shy. Jerome Sinclair has gone back to Watford and as yet, there’s no new striker coming in. They’re certainly one of the best four sides in the division, but they need to make sure that they get good results against the play-off hunting sides, as well as those who are struggling against the drop. Do that and they’ll be back in the Championship next season.